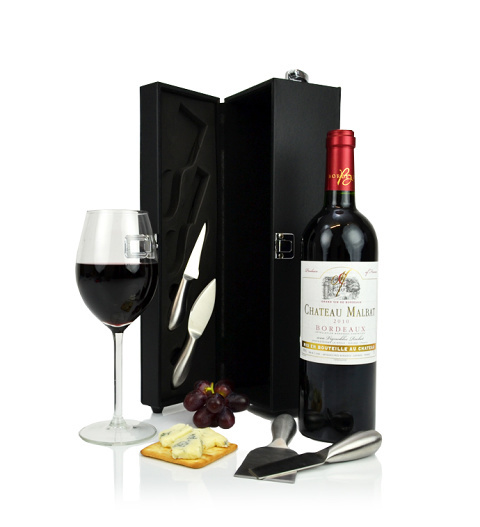 Our Bordeaux and Cheese knives set is the perfect gift for those who love and appreciate fine wine. Chateau Malbec is an award winning wine from the beautiful chateau in the South-East end of Bordeaux near Langon. This prestigious wine is presented in a deluxe carry case with a set of four quality Cheese knives. This product is available for UK delivery.